It’s a sad state of affairs when a team — a team full of professionals that are among the one percent of the best in the world at their jobs — losing by double-digits can still be considered an improvement. But here we are. And only one guy retired at half time. But after getting blasted in week 1 by the Baltimore Ravens to the tune of 47-3, the week 2 31-20 loss at the hands of the Los Angeles Chargers doesn’t seem so bad (unless of course you remember that the Bills were down 28-6 at half and one of Phillip Rivers’ 42 children could have led a scoring drive on the Bills defense). So what lay ahead in week 3? Unfortunately, more pain. But this is a Buffalo sports franchise, after all. All we feel is pain. So heading north to face the 1-0-1 Minnesota Vikings, things seem dreadful. Dreadful enough that the Bills are a 16.5-point underdog heading into Sunday. That’s a college football spread for an NFL game. Your 2018 Buffalo Bills, everyone! Can the offense build positive momentum? It’s really hard to judge Josh Allen by his stat line through a game and a half. He’s 24-of-40 (50%) for 319 yards, a touchdown and two interceptions. Not mind-blowing, but not catastrophic either, especially considering the talent level of this team. Granted, some of those stats are also because the team was in a 22-point hole heading into the second half last week, so passing was the game plan out of sheer necessity. But Allen shows flashes. The Minnesota defense isn’t bad and it isn’t good — they are pretty much dead smack in the middle in passing defense, rushing defense and points allowed per game. Baltimore has a top-five defense and, despite giving up a lot of points in week 1, the Chargers boast a top-ten defense in terms of yards allowed. So the Bills didn’t exactly face an easy road the first two weeks. Getting LeSean McCoy involved more heavily will be key. He has just 21 touches through two games for a grand total of 89 yards. The offense was pretty much built to run through him and hasn’t through two games. Getting him going would alleviate some of the pressure put on Allen to succeed. 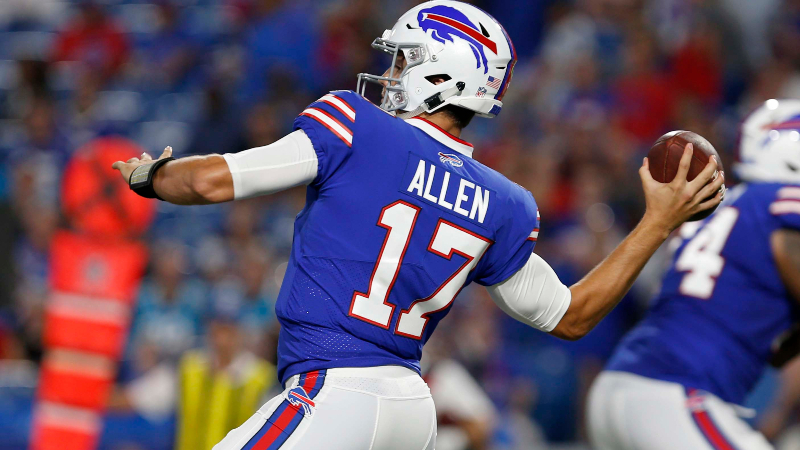 But if he can’t establish himself, it would allow the Vikings to pin their ears back and pressure Allen, which can’t be good for the Bills with this offensive line. Can the defense step up? Here’s something sort of surprising: the Bills aren’t universally dead last in defensive categories. Because of the blowout in week 1, they are tied with Detroit for the worst in the league in terms of points per game. But in terms of yardage per game, they’re not far into the bottom half of the league. Meaning they aren’t allowing long drives every possession. The atrocious offense has definitely contributed to their struggles. But they are facing, statistically, one of the best quarterbacks in the league so far this year. Kirk Cousins is sixth in yardage (669), sixth in QBR (108.7) and tied for third in touchdowns (6) with just one interception to show for it. He’s found a rapport with Adam Thielen and the offense has been able to put up points despite the fact that Dalvin Cook has just 78 rushing yards through two weeks. That won’t last. If the Bills defense wants to get going, forcing some turnovers are absolutely necessary and they have just one through two games. The forecast does not look promising against a good offensive team. Who will call plays on defense? Heading into the locker room down 28-6 to the Chargers last week, head coach Sean McDermott assumed play-calling responsibilities on defense from coordinator Leslie Frazier and the Bills yielded under 100 yards and just three points in the second half. Will Frazier get the chance again in week 3 or will McDermott ride that little bit of momentum into Minnesota? Not to entirely blame Frazier here, as the offense has put the defense into tough situations repeatedly, but it’s pretty clear that the defense has struggled under Frazier thus far. A change could damage the relationship between the two, but with the team struggling as a whole, something new is needed and the worst-case scenario is that it is a failure like the first two efforts. On paper, there aren’t many teams the Bills can match up with. 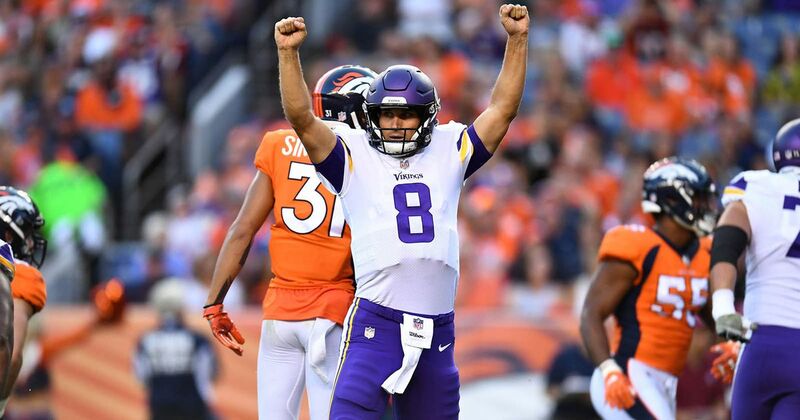 The Minnesota Vikings are one of those teams the Bills definitely can’t match up with. The Vikings are Super Bowl contenders; the Bills are first-overall contenders. The only hope to stay competitive is that the run game can get going and the defense, under McDermott’s play calling, can stifle a strong Minnesota offense. Then again, we learn not to hope in Buffalo.